Those of you familiar with the literature on hominid evolution will doubtless have read at least something about the evolution of hominid bipedality. In the most popular model, bipedal hominids originated from terrestrial, chimp-like quadrupeds (which were still capable of climbing but not highly specialised for it), sometime within the last 7 or so million years. However, committed adaptation to full-time bipedality did not occur until more recently, and at least some of the hominids included within the ‘australopithecine’ grade of our lineage (and it obviously is a grade, even Australopithecus itself – as currently conceived – being paraphyletic) were seemingly not far from chimps and bonobos in climbing ability. Hominids - represented here by a gorilla, orangutan and chimpanzee (the human needed to complete the scene is missing) - are different from other anthropoid primates in many important aspects. What particular adaptational history caused them … us… to be so different? 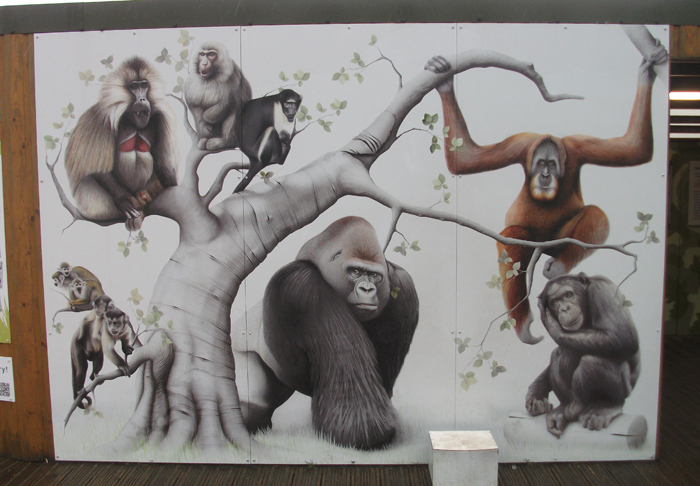 This mural is on show at Edinburgh Zoo, Scotland, and is by Russell Dempster. Image: Darren Naish. This shift likely occurred in open habitats, and quite why bipedal adaptation evolved has been the subject of copious speculation. 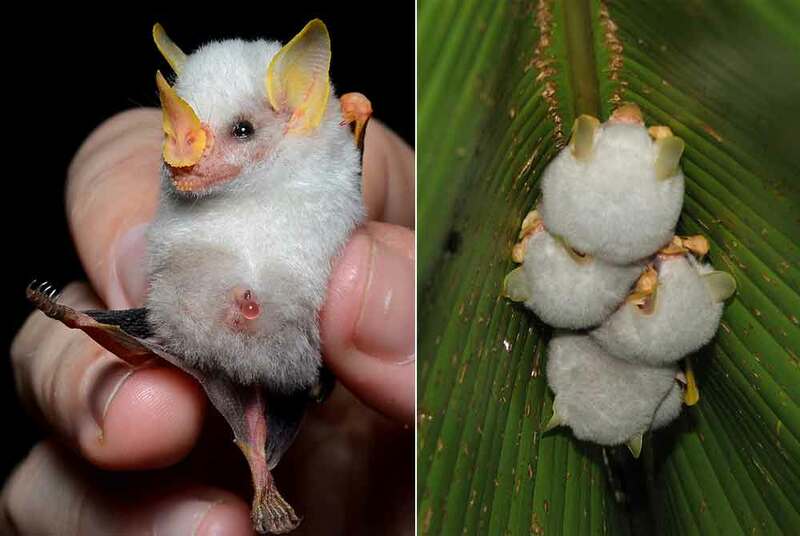 Maybe it was to do with being able to see further, to free up the hands for carrying things, to improve social and/or sexual communication, to assist with thermoregulation, to increase foraging reach, to improve wading abilities or… insert favoured model for origin of bipedality here. Primate evolution: another of those subjects that gets written about a lot. Here are some of the (mostly hominid-themed) primate books in the TetZoo collection, but far from all of them. Pet and fringe theories abound in the popular and semi-popular literature on hominid evolution. Image: Darren Naish. What I’ve just described might be regarded as ‘the textbook view’, however, since there are indications that things might not have happened as described. Anatomical details suggest that proficient bipedal abilities might not have originated in open, terrestrial environments, but in wooded habitats, earlier in history, and among taxa that spent more time in trees than on the ground. There’s a lot more that could be said about that particular area, but here I want to concentrate on an even earlier phase of evolution. Namely, that part relevant to those hominoids in existence prior to the split between pongines (orangutans and their relatives) and hominines (African great apes). Such animals can be termed stem-hominids, pre-hominids or early hominoids, depending on your preference, and they’d be closer in position to hominids than are gibbons (aka hylobatids). I’m going to call them ‘pre-hominids’ since I find this to be the least ambiguous term. Which behavioural, locomotory and ecological specialisations led to the evolution of the hominid body form, and what were pre-hominids like? The red box shows the section of the family tree we’re especially interested in here. The animals concerned are hominoids, but not part of the hominid crown (that is, they’re not part of the hominid group delimited by living hominid lineages). They’re stem-hominids, or ‘pre-hominids’. Image: Darren Naish. Some authors have proposed that pre-hominids were gibbon-like brachiators (perhaps pre-adapted for bipedality). This is the so-called brachiation, brachionationist or hylobatian model (e.g., Morton 1926, Keith 1934, Tuttle 1981). Others have argued that pre-hominids were more terrestrial, chimp-like knuckle-walkers (e.g., Keith 1923, Washburn 1963), a model similar to the ‘trogolodytian’ one actually proposed as a phase within the hylobatian model. Neither of these models, however, appears consistent with the long list of features that hominids share with mammals that are neither brachiators nor terrestrial quadrupeds, but vertical climbers that use what’s termed an antipronograde posture (where the body’s long axis is oriented more than 45° from the horizontal). The proportionally long arms and short legs of hominids (we’re referring here to the assumed ancestral condition, not that possessed by unusual forms like humans), the short thorax, reduced lumbar region where vertebrae are incorporated into the sacrum, wide shoulders and hips, and the anatomy of the shoulders, wrists and feet all parallel features seen in lorises and kin, and in climbing South American monkeys like spider monkeys (Sarmiento 1995). In short, these features – and there’s other evidence too, relating to the way muscles function and so on – suggest that pre-hominids were perhaps specialised for vertical climbing. Which form of locomotion was typical of those hominoids ancestral to hominids? 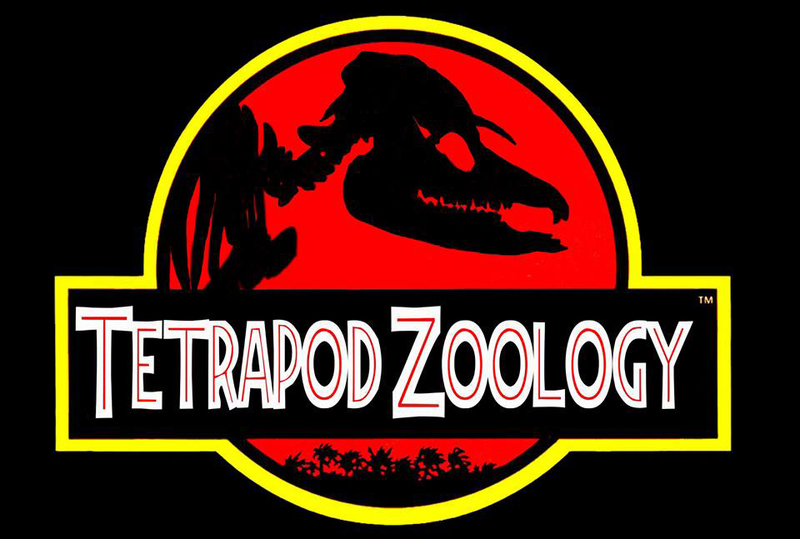 Were they brachiators, arboreal climbers, or digitigrade or knuckle-walking terrestrial forms? Image: Richmond et al. (2001). We can go further, since hominids don’t merely possess general features associated with vertical climbing: they have additional features specific to what are known as cautious climbers. These are those vertical climbers that rely on the grasping of (sometimes discontinuously sized) supports and do not leap. Cautious climbers among mammals include lorises, some colobine monkeys, tree sloths and the extinct palaeopropithecid lemurs (Sarmiento 1995) (though some of these taxa – sloths in particular – have specialised for suspensory climbing too). The features we’re talking about here include dorsal migration of the scapula relative to its position on the ribcage in other primates, increased breadth of the manubrium (the big, anterior-most section of the sternum), a reduced number of tracheal rings, a flat-topped diaphragm with a central tendon, a tendon that connects the protective membrane around the heart to the diaphragm (termed the pericardiophrenic tendon), and reduction or loss of the tail. Did hominids start their history as ‘cautious climbers’, convergently similar to such arboreal mammals as lorises, sloths, various leaf-eating Old and New World monkeys, and some extinct lemurs? The pre-hominid at far right is a hypothetical animal - a ‘concestor’ - that matches this prediction. A slow loris and three-toed sloth are shown at left. Image: Darren Naish. Because living cautious climbers share a set of physiological, anatomical and behavioural features, we can infer that they were likely present in cautious climbing pre-hominids too. Cautious climbers use slow, deliberate movements, often hold the foot in a hooked pose, use the foot from the toes to the heel when grasping, and are often bipedal when on the ground. Their slow, deliberate and often powerful movements are in keeping with a high proportion of slow twitch or red muscle fibres (Sarmiento 1995). Cautious climbers also tend to be – but are not always – folivores (leaf eaters), and their reliance on leaves means that they’ve evolved large guts and have slow metabolisms. 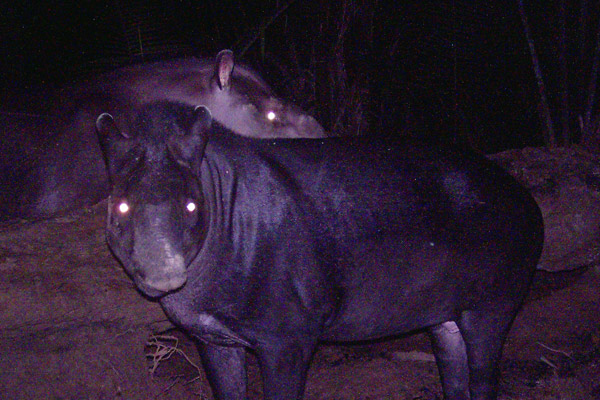 They’re therefore mostly big (c 10-40 kg), bulky animals with long gestation periods and a reliance on tropical habitats with a guaranteed supply of canopy foliage. Their slow metabolisms also predict that they’re relatively good at dealing with toxins, and it’s been argued that their slow-moving, low-energy strategy makes them inclined to evolve laryngeal specialisations and an ability to broadcast loud sounds over distance. Cautious climbers generally don’t leap, or drop from height onto other structures when climbing. Instead, they mostly climb slowly and deliberately, with actions like these (here depicted in a potto) being used to move from one branch to another. Image: Napier & Napier (1985) (and based on an original by Charles-Dominique). The idea that pre-hominids were cautious climbers of this sort, and that the biological and ecological correlates of this adaptive regime were present in these animals, was explored in depth by Esteban Sarmiento in a few papers from the 1990s (Sarmiento 1995, 1998). The significance of the cautious climber model is not just that it better allows us to imagine what pre-hominids might have been like; it’s also interesting in that imaging hominids as animals that went through this phase helps explains why they were evolutionary shaped in the ways that they were. Hominid skeletons - this is that of an orangutan, photographed at Musée d'histoire Naturelle, Tournai (Belgium) - possess numerous features indicative of arboreal adaptation. Image: Michel Wal, CC BY-SA 3.0, wikipedia (original here). Hominids took to frugivory on later occasions within their history, for example, but a folivorous initial phase might explain why they have the teeth that they do (the incisors are relatively small, the canines are shortened, there are crushing surfaces on the premolars, enamel wrinkling is present on the molars, and so on), why the front of the face is reduced, and why the lower jaw has such a large and vertical ascending process, a big section adjacent to the molars and a broad but short condyle (Sarmiento 1995). 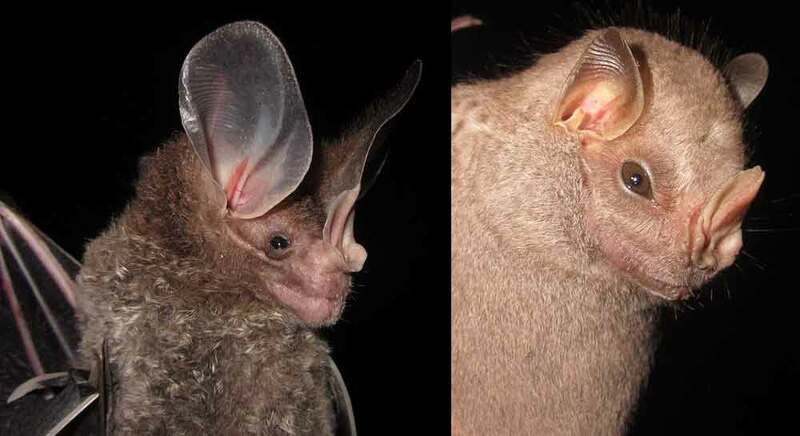 A folivorous heritage could also help explain why hominids are relatively slow growing, resistant to many poisons toxic to other mammals, and equipped with an ability to make loud, complex calls. It would appear, however, that pre-hominids were not as specialised for folivory as are cautious climbers like sloths, since hominids never evolved a complex stomach and always maintained good terrestrial abilities. Was Sarmiento right about cautious climbing and folivory being all that important in primates close to the ancestry of later hominid lineages? This isn’t an area that’s been all that intensively discussed but – when comments on ‘pre-hominid’ evolution have been provided – authors have tended not to state special preference for the idea, at least considering it as likely as suspensory behaviour or generalised climbing (e.g., Pilbeam & Young 2004, Begun 2016). Richmond et al. (2001), however, noted that ideas positing antipronograde climbing postures were “[a]rguably the most popular [of evolutionary models pertaining to pre-hominid lifestyle] … during the last several decades” (p. 81) and argued that the anatomy and biomechanics of extant hominids are consistent with an arboreal climbing ancestry. They didn’t specifically have cautious climbing and/or folivory in mind though. This article isn’t about SpecBio. But if pre-hominids were vaguely sloth-like in some ways, a different trajectory of hominid evolution might have resulted in a radiation of increasingly sloth-like primates… in which case, maybe things like this could have evolved. Maybe. 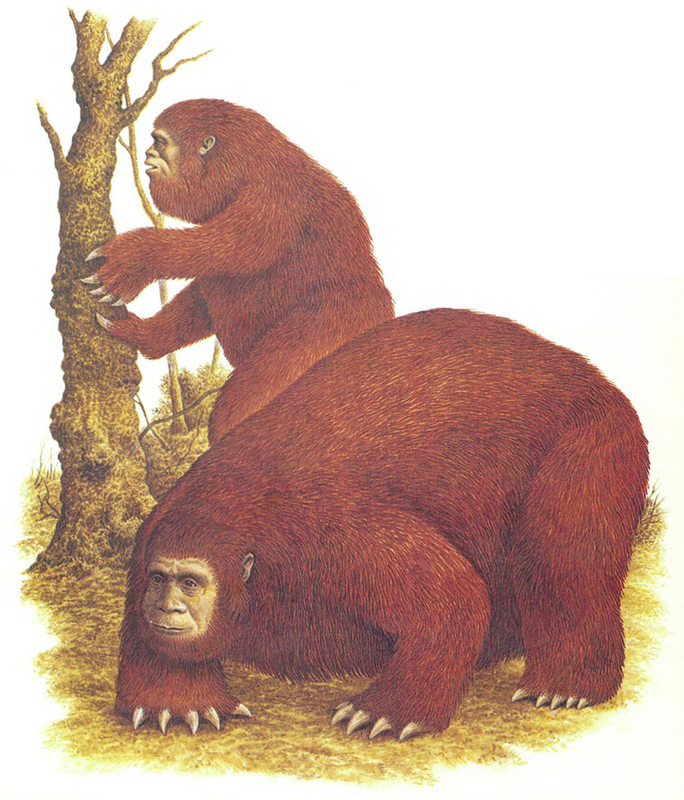 This is Giganthropus, a fictional sloth-like hominid featured in Dougal Dixon’s 1990 Man After Man. Image: Philip Hood, in Dixon (1990). As goes fossils, animals that pertain to the right approximate part of the cladogram do seem to provide support for the model. Morotopithecus from Early Miocene Uganda is large (20-40 kg) (Gebo et al. 1997) and has been inferred to have been a vertical climber (and perhaps a cautious climber), while Pierolapithecus from the middle Miocene of Spain has a set of features which appear inconsistent with suspensory behaviour and more in line with vertical climbing (Moyà-Solà et al. 2004) (and, again, perhaps with cautious climbing too). All in all, I find the ‘cautious climber’ model of pre-hominid evolution intriguing and worthy of more attention, hence this article. Long-term readers might remember me mentioning this article – as an in-prep piece, waiting completion – for some years now. It is, at last, ticked off the list. Begun, D. R. 2016. The Real Planet of the Apes: a New Story of Human Origins. Princeton University Press, Princeton and Oxford. Dixon, D. 1990. Man After Man: An Anthropology of the Future. Blandford, London. Gebo, D. L., MacLatchy, L., Kityo, R., Deino, A., Kingston, J. & Pilbeam, D. 1997. A hominoid genus from the Early Miocene of Uganda. Science 276, 401-404. Keith, A. 1923. Man’s posture: its evolution and disorders. British Medical Journal 1, 451-454, 499-502, 545-548, 587-590, 624-626, 669-672. Keith, A. 1934. The Construction of Man’s Family Tree. Watts, London. Morton, D. J. 1926. Evolution of man’s erect posture: preliminary report. Journal of Morphology and Physiology 43, 147-149. Moyà-Solà, S., Köhler, M., Alba, D. M., Casanovas-Vilar, I. & Galindo, J. 2004. Pierolapithecus catalaunicus, a new Middle Miocene great ape from Spain. Science 306, 1339-1344. Napier, J. R. & Napier, P. H. 1985. The Natural History of the Primates. British Museum (Natural History), London. Pilbeam, D. & Young, N. 2004. Hominoid evolution: synthesizing disparate data. C. R. Palevol 3, 305-321. Richmond, B. G., Begun, D. R. & Strait, D. S. 2001. Origin of human bipedalism: the knuckle-walking hypothesis revisited. Yearbook of Physical Anthropology 44, 70-105. Sarmiento, E. E. 1995. Cautious climbers and folivory: a model of hominoid differentiation. Human Evolution 10, 289-321. Sarmiento, E. E. 1998. 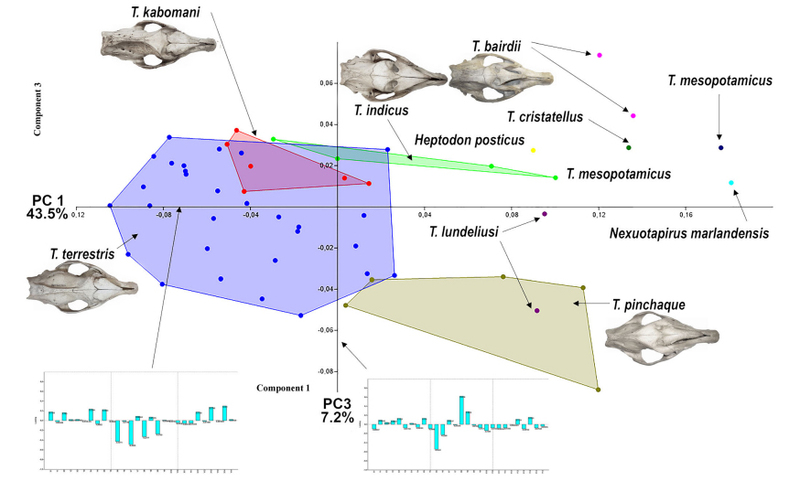 Generalized quadrupeds, committed bipeds, and the shift to open habitats: an evolutionary model of hominid divergence. American Museum Novitates 3250, 1-78. Tuttle, R. H. 1981. Evolution of hominid bipedalism and prehensile capabilities. Philosophical Transactions of the Royal Society 292, 89-94. Washburn, S. L. 1963. Behavior and human evolution. In Washburn, S. L. (ed) Classification and Human Evolution. Aldine, Chicago, pp. 190-201. Posted in mammalogy and tagged with mammals, primates. March 16, 2019 by Darren Naish. Eurasian Pleistocene megafauna are among the most familiar and oft-depicted of prehistoric animals. And among these grand, charismatic and imposing animals is the giant deer Megaloceros giganteus, an Ice Age giant that occurred from Ireland and Iberia in the west to southern Siberia in the east. It persisted beyond the end of the Pleistocene, surviving into the Early Holocene on the Isle of Man (Gonzalez et al. 2000) and western Siberia (Stuart et al. 2004)*. It is often erroneously termed the Irish elk, though it certainly wasn’t restricted to Ireland, nor should it really be termed an ‘elk’ (ugh… we’ll avoid that whole hornet’s nest for the time being). It’s been termed the Shelk by others [UPDATE: but see comments!!]. It could be 1.8 m tall at the shoulder and weigh somewhere around 600 kg, the antlers spanning 3.5 m in cases and weighing 35-45 kg (Geist 1999). A very conventional, traditional image of Megaloceros giganteus: it's depicted looking like a giant red deer, basically. Males and females are not that different in size, but males are often shown as maned. Most interest in this deer has, of course, concerned the spectacularly antlered males. This image is from Hutchinson's Extinct Monsters (published several times over the 1890s). Image: Hutchinson (1892). * In a previous edit of this article, I said that M. giganteus also survived into the Holocene in central Europe, as demonstrated by Immel et al. (2015). I missed the fact that this research concerns specimens dated to the Upper Pleistocene, not the Holocene. Furthermore, I’ve also been told that the Isle of Man data proved incorrectly dated. Am chasing confirmation on this. While big, M. giganteus was not the biggest deer ever, since it seems that the extinct, moose-like Cervalces latifrons was even bigger. I promise to talk more about that species when I get round to discussing moose and kin at length. 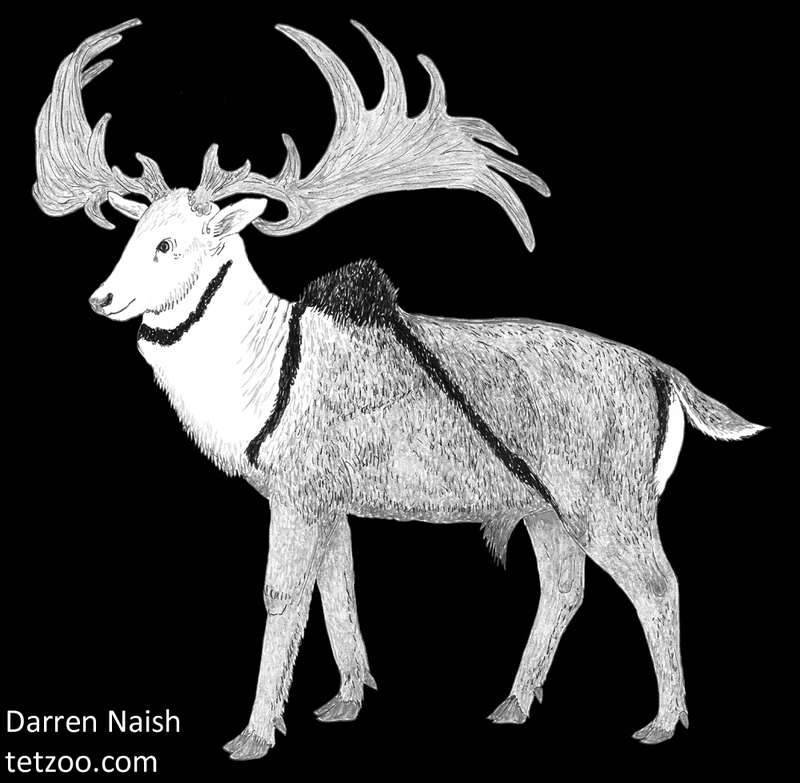 And while the antlers of M. giganteus were obviously very big, they weren’t especially big relative to its body size: proportionally, they were about similar in size to those of large Fallow deer Dama dama, and well exceeded in proportional size by the antlers of reindeer and caribou. A fine Megaloceros skull on show at London's Grant Museum. I seem to recall hearing or reading - possibly in one of Stephen J. Gould's papers - that this is one of the largest specimens in existence. Image: Darren Naish. I should add that M. giganteus was not the only Megaloceros species. 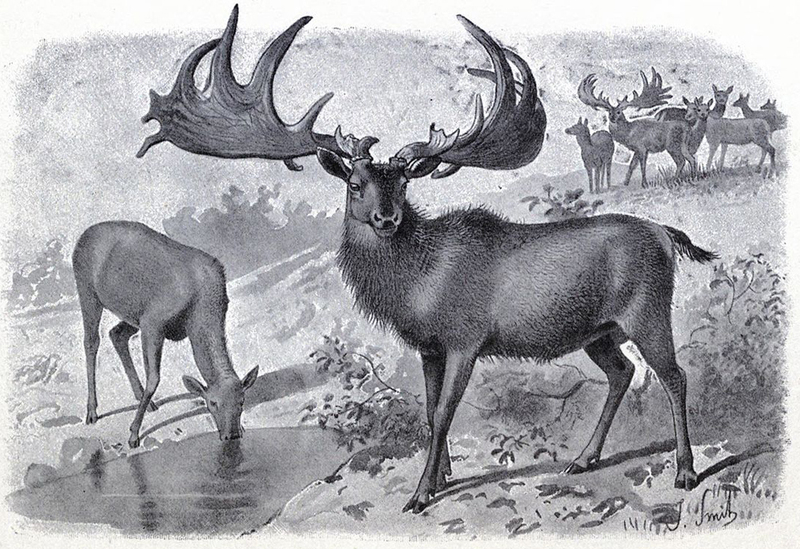 Several others are known, differing in how palmate or slender and branching their antlers were, and not all were as large as M. giganteus (some were island-dwelling dwarves). There are other genera within this deer lineage (Megacerini) as well. Also of relevance to our discussion here is the position of these deer within the cervid family tree. Some experts have argued that megacerines are close to deer like the Red deer Cervus elaphus (Kuehn et al. 2005), while others point to genetic and morphological data indicating a close relationship with the Fallow deer Dama dama (Lister et al. 2005, Hughes et al. 2006, Immel et al. 2015, Mennecart et al. 2017). I have a definite preference for the latter idea, and right now it's a far better supported relationship than the alternative. Male M. giganteus skulls in the collections of the National Museum of Ireland, Dublin, examined in 2008. Yes, there is indeed a preponderance of males. Image: Darren Naish. Like most European people who’ve been lucky enough to visit museums and other such institutions, I’ve seen Megaloceros specimens on a great many occasions – there are a many of them on display. I’ve also seen and handled a reasonable number of the Irish bog specimens during time spent in Dublin. There does appear to be a preponderance of big, mature males. Maybe this reflects collecting bias (in that people were more inclined to extract the skulls and skeletons of big, prominently antlered males), but it also seems to be a valid biological signal: it has been argued that the calcium-hungry males were likely attracted to calcium-rich plants like willow at the edges of lakes and ponds, and were thus more prone to drowning, miring or falling through ice in such places than females (Geist 1999). Oh, we also know that male mammals across many species are more inclined to take stupid risks, be reckless, and even display deliberate bravado more than their female counterparts. Here we come to the main reason for this article: what, exactly, did M. giganteus look like when alive? I’ve surely mentioned this topic on several occasions over the years here; I’m pretty sure I threatened to write about it after producing similar articles on the life appearance of the Woolly rhino and Ice Age horses. M. giganteus has been illustrated a great many times in works on prehistoric life, and the vast majority of reconstructions show it a near-monotone dark brown or reddish-brown. It’s very often depicted with a shaggy neck mane. In short, it’s usually made to look like a big, shaggy Red deer, and the tradition whereby this is done – it extends back to Zdenek Burian, Charles Knight and other founding palaeoartists – seems to me to be another of those palaeoart memes I’ve written about before. I’ve taken to calling this one the ‘Monarch of the Glen’ meme (see my palaeoart meme talk here). I will add here that we're generally talking about males of the species (since people mostly want to see depictions of specimens with those awesome antlers), though virtually all that I say below applies to females too. Alas, this view of M. giganteus is almost certainly very wrong. Why do I say this? Note the many obvious external features of this male Fallow deer: a throat bulge corresponding with the larynx - an 'Adam's apple' - is obvious, and this is a boldly marked deer overall, with prominent spots (including some that have coalesced into stripes), a white rump patch, and pale ventral regions. If megacerines are close kin of Dama deer, we might predict a similar ancestral condition for Megaloceros and its relatives. Image: Dave Hone. Firstly, if we look at the colours and patterns present across cervine deer as a whole, we see quite a bit of variation and no strong and obvious reason why a ‘Red deer look’ should be favoured. Secondly, we have that data indicating that M. giganteus is phylogenetically closer to Dama deer than to Cervus, in which case we would predict that it descended from ancestors with prominent spotting, pale flank stripes, and dark markings on the tail, all features typical of modern Dama populations. If the ‘Dama hypothesis’ is correct, there is again no reason to favour a ‘Red deer look’ for M. giganteus. Thirdly, body size, limb proportions, antler size and habitat choice all indicate that M. giganteus was an open-country (Clutton-Brock et al. 1980), cursorial specialist, and in fact the most cursorial of all deer (Geist 1999). Cursorial, open-country artiodactyls are often pale, with large white areas across the rump, legs and belly (examples include addax, some Arctic caribou and some argali). Again, no reason here to suspect that ‘Red deer look’. And... fourthly, we have direct eyewitness data on the life appearance of this animal. Members of our own species saw it in life and drew it, seemingly to a very high degree of accuracy. What did they show? The famous panel at Cougnac, southwest France, showing M. giganteus males and females. This part of the cave is also interesting in depicting a short-horned bovid (at upper right) sometimes interpreted as a tahr. There are also ibex here too. I'm uncertain of the exact origin of the photo shown here: I took it from Fabio Manucci's blog Agathaumus. Numerous additional photos of the same cave can be seen at Don's Maps. Virtually all cave art depicting M. giganteus shows a rounded, tall shoulder hump that’s sometimes shown as if it had a crest of raised hairs. Guthrie (2005) termed this a ‘hackle tuft’. There’s no obvious indication from the skeleton that a hump like this was present (indeed, fatty humps in mammals very often do not have an underlying skeletal correlate), so this is a neat thing that we wouldn’t know from skeletons alone. A protruding lump on the throat that seems to correspond to the larynx is also shown in images at Lascaux, Roucadour and elsewhere (Guthrie 2005). This feature is very reminiscent of Fallow deer. Cave art depicting M. giganteus is not all that numerous (most ancient depictions of deer are of reindeer or red deer), but what does exist shows several details worthy of note, here emphasised in illustrations produced by R. Dale Guthrie. The shoulder hump is a consistent feature. Image: Guthrie (2005). Some of the art provides information on pigmentation. A collar-like band is depicted encircling the neck in images from Chauvet and Cougnac, the shoulder hump is shown as being dark in images from Cougnac and elsewhere (Lister 1994), and some of the Chauvet and Roucadour images show a dark diagonal line that extends across the side of the body from the shoulder to the edge of the groin, and sometimes across the leg as far as the hock (ankle). An especially detailed image at Cougnac, partially illustrated on a stalactite, shows what looks like a dark vertical stripe descending from the shoulder hump and forming a division between the deep neck and the rest of the body. The same image also shows dark near-vertical markings around what might be a pale rump patch (Guthrie 2005). Other people have taken the same evidence I've discussed here and produced very similar reconstructions. This piece - which I hadn't seen until after producing my own illustrations (on which, see below) - is by Pavel Riha. Image: Pavel Riha, CC BY-SA 3.0. If these details have been interpreted correctly, M. giganteus was boldly marked, with obvious dark striping across its neck, shoulders and torso, and on its rump too. R. Dale Guthrie proposed that the vertical shoulder stripe formed a boundary between a near-white neck and head region and the rest of the body, with the latter being pale just posterior to the stripe but darker across the legs, rump and flank (Guthrie 2005). I’m not absolutely convinced by the evidence from cave art for a near-white neck and head or for a white rump patch but these things are consistent with what I said above about the open-country lifestyle and cursoriality of this deer. Geist (1999) was a fan of this idea, and his reconstruction of M. giganteus – shown here – is meant to show the animal as being quite pale apart from its obvious striping and other dark markings. M. giganteus as reconstructed by Valerius Geist, and shown to scale with the extant Dama dama. Geist was (and presumably is) a strong advocate of the idea that megacerines (yes: megacerines, not 'megalocerines') are part of the same lineage as Dama. Image: Geist (1999). Guthrie produced a very striking illustration depicting all of these details, but his drawing, as reproduced in his book (Guthrie 2005), is less than 4 cm long. Here it is (below), but note that I’ve produced a larger illustration here (scroll down) that shows the same details. At left, the best of the M. giganteus images from Cougnac in France, as re-drawn by Guthrie (2005). At right, Guthrie's reconstruction of the animal's life appearance. Image: Guthrie (2005). And that just about brings us to a close. 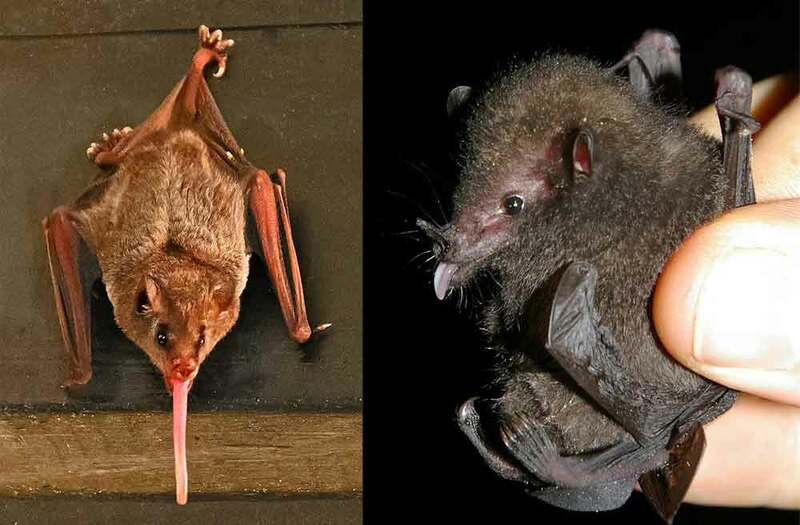 Over the years, I’ve been perpetually dismayed by the fact that most people illustrating this animal aren’t aware of the information I’ve discussed here – I mean, we have direct eyewitness data that should be pretty much the first thing we take account of when reconstructing this animal. Alas, the usual problem here is that the people who provide advice on reconstructions of fossil animals to artists are virtually never that interested in or knowledgeable about the life appearance of the animals concerned (sorry, palaeontologists). That’s an unfair generalisation though, and there are of course exceptions. Indeed, I should note that accurate, informed reconstructions of M. giganteus have appeared here and there over the years: the Megaloceros depicted in the Impossible Pictures TV series Walking With Beasts, for example, includes most of the features I’ve discussed here and obviously benefitted from the input of an informed consultant. Anyway, my hope for the article you’re reading now is that it will inspire the current generation of palaeoartists to start illustrating Megaloceros in a way that’s more in accord with the data from prehistoric art, all of which has been out there in the literature for years now (Lister 1994, Guthrie 2005). I have further articles of this sort in mind and hope to get them published here eventually. 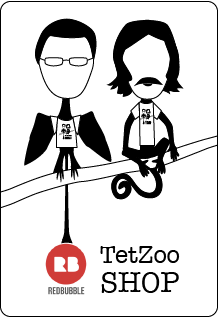 On that note, here’s your reminder that I rely on your kind support at patreon, and that the more such support I receive, the more time and effort I can devote to Tet Zoo, and to my various book projects. Clutton-Brock, T. H., Albon, S. D. & Harvey, P. H. 1980. Antlers, body size and breeding group size in the Cervidae. Nature 285, 565-567. Gonzalez, S., Kitchener, A. C. & Lister, A. M. 2000. Survival of the Irish elk into the Holocene. Nature 405, 753-754. Guthrie, R. D. 2005. The Nature of Paleolithic Art. The University of Chicago Press, Chicago and London. Hughes, S., Hayden, Th. J., Douady, Ch. J., Tougard, Ch., Germonpré, M., Stuart, A., Lbova, L., Garden, R. F., Hänni, C. & Say, L. 2006. Molecular phylogeny of the extinct giant deer, Megaloceros giganteus. 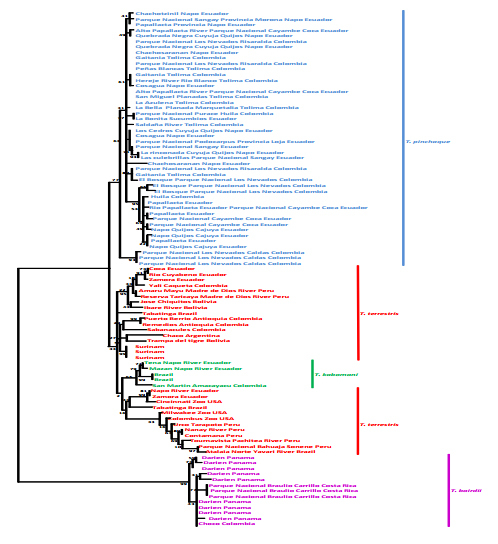 Molecular Phylogeny and Evolution 40, 285-291. Hutchinson, H. N. 1892. Extinct Monsters, 2nd edition. London: Chapman & Hall. Immel, A., Drucker, D. G., Bonazzi, M., Jahnke, T. K., Münzel, S. C., Schuenemann, V. J., Herbig, A., Kind, C.-J. & Krause, J. 2015. Mitochondrial genomes of giant deers suggest their late survival in Central Europe. Scientific Reports 5: 10853. Lister, A. M. 1994. The evolution of the giant deer, Megaloceros giganteus (Blumenbach). Zoological Journal of the Linnean Society 112, 65-100. Lister, A. M., Edwards, C. J., Nock, D. A. W., Bunce, M., van Pijlen, I. A., Bradley, D. G., Thomas, M. G. & Barnes, I. 2005. The phylogenetic position of the ‘giant deer’ Megaloceros giganteus. Nature 438, 850-853. Mennecart, B., deMiguel, D., Bibi, F., Rössner, G. E., Métais, G., Neenan, J. M., Wang, S., Schulz, G., Müller, B. & Costeur, L. 2017. Bony labyrinth morphology clarifies the origin and evolution of deer. Scientific Reports 7: 13176. Stuart, A. J., Kosintsev, P. A., Higham, T. F. G. & Lister, A. M. 2004. Pleistocene to Holocene extinction dynamics in giant deer and woolly mammoth. Nature 431, 684-689. Posted in mammals, mammalogy and tagged with mammals, deer, Megaloceros, Pleistocene megafauna, Pleistocene, artiodactyls. September 9, 2018 by Darren Naish.